You are here:Home/Sales & Hire, School installations/School shelters #1 Longevity – How long do temporary structures and fixed shelters last? School shelters #1 Longevity – How long do temporary structures and fixed shelters last? Fixed shelters over 30 square meters in size and in place more than 28 days may be classed as permanent structures and subject to building control. A temporary demountable structure can be installed and dismantled without the need for building regulation checks. All temporary or permanent shelter designs should undergo tests to confirm their suitability as fixed structures whether they are intended to be installed on a temporary or permanent basis. In most cases, schools, colleges and nurseries are exempt from having to obtain planning permission as Part 32 class A developments (we cover this under the ‘planning a shelter’ blog). The Aquila Series 7 modular tensile canopy system was developed in 1986 with Buro Happold, a world leader in the field, to a wind speed of 64 mph, snow depth of 12 inches and a working life of 10 years. 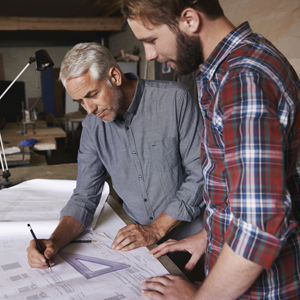 Since then these structures have consistently outperformed their design specification and if properly maintained will last typically for over 20 years. 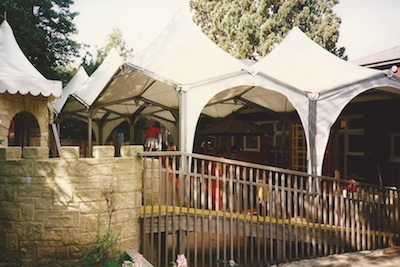 Installed in 1994 at St Hilary’s school, Godalming to cover a newly created themed play area, this became our first ever school shelter installation and is still in place today. Providing protection to outdoor playground equipment Aquila created a large rectangular shaped sheltered area covering 1,400 square feet and made up of 7 joining tensile canopy structures. The installation is secured to submerged self-draining concrete blocks, making it a 20 year old fixed shelter.